Airbus: CIT Aerospace, 10 A330 (five previously undisclosed); China Aircraft Leasing, 28 A320ceo, 8 A321ceo–MOU. Boeing: Avolon (lessors), commitment for 20 737 MAX 8/9 and 10 737-800s. The MAXes are part of the previously announced 1,000 Orders and Commitments, so this portion is not new, but rather a public disclosure. ATR: Nordic Aviation, one ATR 42-600; Air Lease Corp., two ATR 72-600s; LAO Airlines, two ATR 72-600s, TransAsia, six ATR 76-600s. CFM: Juneyao Airlines (China), CFM56 for five A321s; Aviation Capital Group, LEAP-1A for 18 A320neo family. Pratt & Whitney: Finalize previously announced engine selection for GTF for 40 A320neo. Demand for A380 this year shrinks. Airbus in Mobile: We doubt Boeing is really Sleepless in Seattle but this piece is pretty amusing. Take that, Part 1: Boeing continues to whine about WTO. Take that, Part 2: So’s your Old Man. It will still be Boeing’s show, with MAX orders or MOUs or Commitments or Love Letters amounting to the hundreds. Look for Air Lease Corp, GECAS, Aeromexico, perhaps some Chinese companies and others to announce. Airbus’ John Leahy has been tamping down expectations all year but Mr. Showman doesn’t like to be left standing on the sidelines. While you’re watching Boeing’s left hand, don’t be surprised if Leahy pulls a rabbit out of the hat with Airbus’ right hand and ends the show with several hundred orders of his own. Yes, we predict the Airbus-Boeing sniping will continue. And the sun will rise in the East and set in the West. Embraer isn’t even holding a press briefing. So we don’t expect much out of them this year. Bombardier may or may not have CSeries orders to announce. The market doesn’t expect (m)any, concluding that the countdown to first flight is what will begin bringing in orders. No new program announcements from Boeing (ie, nothing new on 787-10 or 777X). No announcement from Airbus, either, on A350 program developments or the prospect of a long-range, upgraded A330-300 (we think this could come at FAS but just as likely could be later in the year). No 90-seat turbo-prop from anyone. This is now Ray Conner’s coming out party as the new (and unexpected) CEO of Boeing Commercial Airplanes. Based on our limited contact with Conner, he’s not as affable as the departed Jim Albaugh. It will be interesting to see how aggressively engaging he is with Boeing’s nemesis, Leahy. This is really expected to be a boring show from the perspective of orders. Airbus has been downplaying expectations following last year’s Paris Air Show blow-out of more than 1,200 A320neo orders. How can you match that? The answer is, Airbus can’t. Boeing will certainly firm up hundreds of 737 MAX commitments, so this will be Boeing’s show. And there is the buzz that Boeing is partnering with Lockheed Martin and NASA (oh, another government subsidy?) 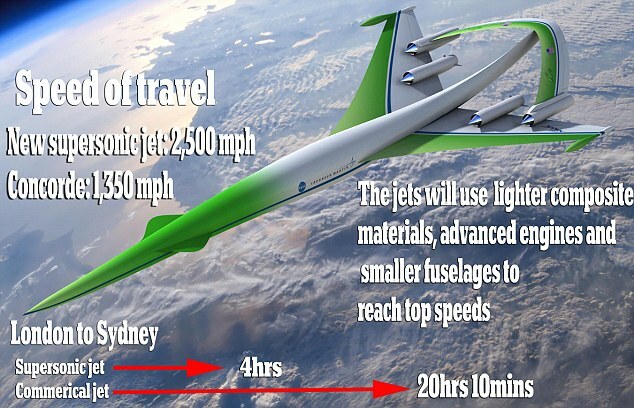 to produce a 2,500 mph SST, with details supposed to come at the Air Show. Then there is the leak that the 787 will fly there, the first time in 28 years Boeing has an aerial flying display. We’ve talked with several journalists and industry personnel who are skipping the Air Show this year. So are we, and we’ve been at the Farnborough and Paris air shows since 2008. We just don’t expect enough news this year that we can’t get from the press releases. A320 v 737 Debate: This continues over at AeroTurboPower, where an analysis of fuel burn cost per seat has been undertaken. Embraer reiterates futures plans: No plane in the 130-160 market segment. EMB will continue to concentrate on its 70-125 seat market. ATR 1000: This is a very clever video by ATR celebrating its 1000th ATR turbo-prop. Taking airplanes in on trade: Much is being made of Boeing taking five Airbus A340-600s in on trade to secure an order for 20 777-300ERs from China Eastern. While trade-ins are not common, neither are they unknown. Boeing has done this before, including what was then a particularly controversial deal: taking brand-new A340s off the hands of Singapore Airlines even before they had been delivered as part of a 777 deal. Those A340-300s went straight to Boeing from Airbus, much to the consternation of John Leahy at the time. The OEMs don’t like to take airplanes in on trade; after all, they are in the business of selling new airplanes, not used ones, but Airbus, Boeing and Bombardier all have active used airplane units to remarket aircraft they have in their own portfolios–usually originating from their customer financing. Bombardier wins Q400 deal: WestJet of Canada will order 20 Q400s and option 25 more in what was a hotly contested deal between ATR and Bombardier. Although many believe this was a slam-dunk for Bombardier, the competition was intense; WestJet sent the parties back to re-price the deal late in the game. This order gives BBD 28 firm and 45 options for the Q400 so far this year, compared with a mere seven in 2011. The Russians Are Coming, the Russians Are Coming! Boeing imports Russian engineers to work in the Seattle area, much to the consternation of SPEAA, Boeing’s engineer’s union. Now the practice has caught the attention of a US Senator. Outsourcing is a sore point for Boeing’s unions. While Boeing says it does so to reduce costs and to offset work in exchange for sales, there is a larger issue: the US simply doesn’t produce enough engineers to meet demand, and 50% of Boeing’s engineers reach retirement age in the next five years or so. We don’t like Boeing using Russian or Chinese help to produce airplanes–after all, these two countries are developing competitors to Boeing aircraft and it strikes us as pretty silly to help your competitor (why not hire French or German engineers, for Pete’s sake?). But the USA’s failure to place a high priority on developing engineers is a national disgrace and Boeing has to find the help where it can get it. Steve Udvar-Hazy, CEO of Air Lease Corp.
HC: All hell broke loose in Europe and upended aviation. Looking at consolidation in Europe. America now had a lot of stability and discipline, and we’ll see that happen in Europe. More fuel efficient aircraft will be required in Europe. I see a lot of opportunity and challenges to come in Europe. NL: Asia has been by far our most active market, with 70% of our airplanes going there. You have to look at different parts of Asia–you can’t generalize. LCCs in Japan. Always something going on in China. SE Asia, good organic growth. Philippines and Indonesia very interesting. South Asia has had travails. SUH: North America is going through an interesting time. Canada is a duopoly situation with new Asian and Middle Eastern carriers entering the market. The US is very mature having gone through a lot of trial and tribulation, more disciplined [than before]. After 9/11 there was a slow-down in US carriers taking new airplanes. We have a bow wave of a requirement for new fleeting. RS: Latin America is under-appreciated. We see rapid growth there. By 2015 may be 17%, 20% of our fleet. There is a remarkable amount of demand and opportunities for lessors. CSeries weight validated and will be on spec at EIS. Aluminum Lithium is better on fatigue than normal aluminum, much better on corrosion. Combine with composites, D check goes to 15 years. C check improved by 15%. 787 first airplane with All-digital architecture, CSeries is second. Last all-new narrowbody was A320 family. Only aircraft with a 12:1 by-pass ratio; A320neo is 10:1, not sure what ratio Boeing will wind up with on MAX. CSeries has better trip costs than E190, with seat costs of A3320neo. There is no magic here, there is just physics. BBD has on order: 66 CS100, 72 CS300; 124 options, 10 purchase rights, 45 LOIs. Mid-long-haul flights for 70-90 seats increasing in US and elsewhere. 48% of EJet deployment is right-sizing by airlines. 26% for new market development. Will maintain leadership in 70-120 seat segment, not enter into arena of Airbus and Boeing. SuperJet International responsible for world product support of Sukhoi for SSJ100. Delivered seven aircraft, another in two weeks. Expect to deliver 23 this year, 42 next year, 60 in 2014, 75-80 total current capacity but can be increased. SSJ100 is only regional aircraft with 2×3, 5 in wider than MD80. 10% less fuel consumption than direct competitor. ATR top turbo prop pick in Airfinance Journal investors poll. We’re still making a 50-seat product. We have a family of airplanes. Says ATR 72 has same fuel burn per passengers as A320. One third of all passengers fly under 300 miles. Ex-Im: Republicans continue efforts to shut down the Export-Import Bank, a move that would hurt Boeing Commercial Airplanes sales most but which also would hurt other industries as well. Delta Air Lines is the driving force behind the effort to cut off Ex-Im funding. As we’ve previously indicated, rules agreed to last year by Europe and the US changed the pricing model of the Ex-Im guaranteed loans to be market rates, solving a major objection of Delta. Ending Ex-Im Bank funding would be a dumb idea. It would hurt American business and furthermore, fees generated a net $2bn for the US Treasury in the last five years. 757 Replacement: Boeing is already studying a replacement for the 757 with a loosely targeted EIS date of 2025-2026. This is called the New Airplane Study. Qatar Airways: U-Turn Al-Baker has U-Turned his way out of the Bombardier CSeries. Although he continues to profess to be interested in the airplane, the first 2 1/2 years of production has now been sold out. Bombardier has moved on to customers it can rely on. BCI Leasing: Principals of an obscure lessor were found guilty of fraud. This story explains. Here is the press release from the US Attorney’s Office. WestJet: ATR and Bombardier are waiting for WestJet to make its decision between the ATR-72 and Q400 for the airline’s entry into turbo-prop markets. The Q400 is thought to have the advantage for the longer-range operational requirements. The order could be for up to 40 aircraft. If Bombardier wins, this would follow a recent order for up to 20 Q400s from Eurolot. After a dismal year last year in which BBD sold only seven Q400s (against a net of 119 ATR turbo-props), BBD appears headed for a very good year. Aircraft List Prices: It took some doing, but we’ve collected the list prices of all the major commercial airplanes. The comparisons are interesting. We’ve tabulated these into seat categories. List prices, of course, have no relationship to what customers actually pay. Discounts of 25%-30% are common and really good customers–like Southwest Airlines for Boeing–have been known to get discounts of up to 60%. Compare CSeries to 737-600/700 and there isn’t that much difference; the gap is wider compared with Airbus. Is there any particular point to this? Not really–it’s just one of those facts that intrigue us and a host of aviation geeks.